Born and raised in Nairobi, Kenya, Athieno (formerly known as annieSoul) is an artist on a mission to showcase Africa’s diversity, creativity and intellect through song. She is a performing singer/songwriter, pianist, music producer and audio engineer who has skillfully and creatively fused her musical influences in R&B, Jazz, Funk, Hip-Hop, Gospel and African music into her African-infused urban music. Athieno has been described as a "passionate singer... with undeniably original sounds and uplifting messages," Dig Boston. She began singing as a toddler and was performing by the time she was two years old. Growing up in a musical household in the heart of an African city, Athieno was exposed to a myriad of cultures and music traditions. Her love for fusing the various musical styles (Western and African) that coloured her upbringing was evident by the time she began writing and recording her music as a teenager. Athieno has the ability to unite story and song, weaving multiple languages and instrumental colours into her African-infused urban sound. 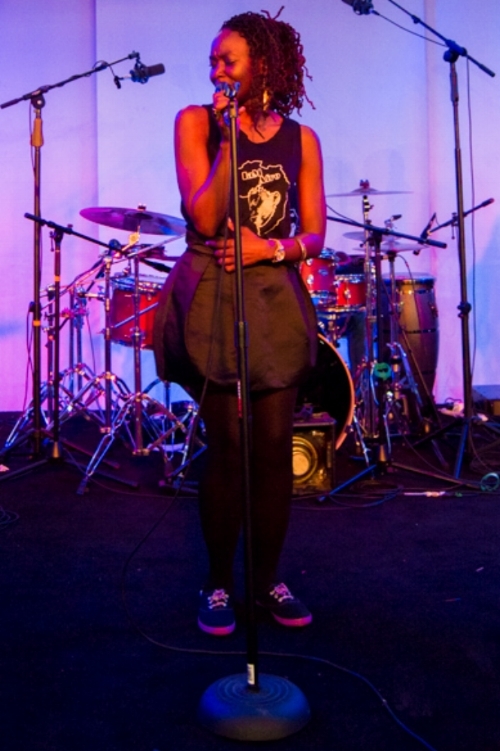 Her poetic gift for setting a scene earned her a spot as a finalist in the 2013 International Songwriting Competition with her song “Sukuma Wiki." In 2016, Athieno released her highly anticipated album "IaM", which "instantly positioned itself as a strong contender for the best Kenyan album of 2016" Bottomline Kenya. "Your quintessential African fusion artist. Numerous musical genres and influences ooze out of her songs, softly kneaded and layered together to leave just enough room for one final fundamental ingredient – a unique signature sound which combines her arresting vocals and her deceptively simple songwriting." Bottomline Kenya. Art that is at its core honest, cosmopolitan and inventive," The Birn. "Athieno fuses traditional African beats and modern sounds to create a perfect infusion of urban music with lyrics that are not anything close to simplistic." AfroWay. "Passionate singer... with undeniably original sounds and uplifting messages," Dig Boston. "Swahili-laden, socially-conscious neo-soul," The Boston Globe. I finally released my album "IaM" (April 2016).